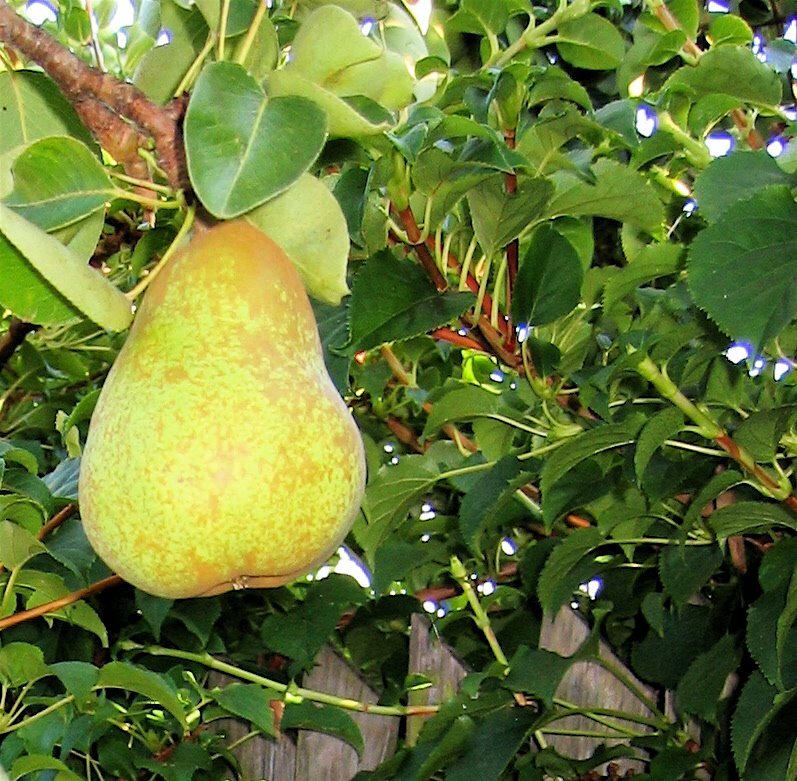 The pears are ready. These are sweet golden pears, which ripen three days after they are picked. Come visit, and you will leave with some pears!